With iOS 6 being the main theme of tomorrow’s keynote, Apple’s chief executive Tim Cook, iOS boss Scott Forstall and marketing head honcho Phil Schiller (aka Mini-Me and Dr. No) will likely share stage time to announce the latest in Apple’s mobile operating system powering the iPhone, iPad and iPod touch. Feeling excited yet? 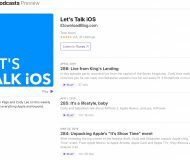 We’re also keeping our eyes peeled for the latest iPhone and Apple TV developments and are expecting shiny new commercials (hopefully they do better than latest celebrity adverts), plus the usual dose of Apple’s trademark one-liners, superlatives and hyperbolas. This article is compiled from a plethora of rumors floating out there, scarce facts unearthed so far and pieces of information from our own sources, intertwined with a little bit of speculation. Just don’t expect a software revolution: from what we know, iOS 6 looks to be an evolution, with big changes hidden in stock apps themselves. And while it’d be cool if Apple borrowed a handful of best ideas from the jailbreak community, given Cupertino’s stubbornness that’s likely not going to happen. Fear not, for iOS 6 should be easily jailbreakable. As always, chime in with your thoughts and wish list down in the comments. 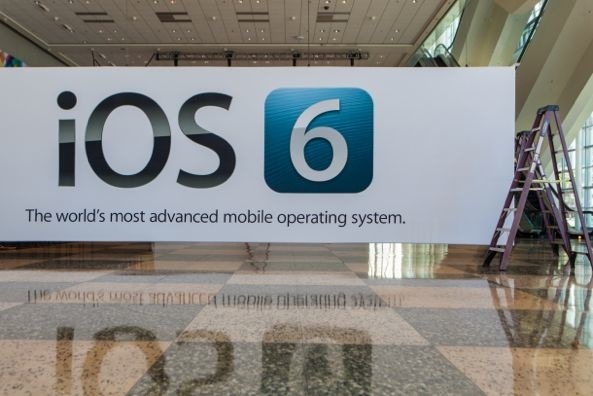 iOS 6 logo has been spotted on WWDC banners so it’s official and no longer a rumor. 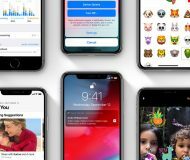 But don’t hold your breath for groundbreaking core OS enhancements or a complete revamp of the user interface (though Apple is researching some intriguing concepts) as my well-informed source claimed “impressive changes” are in stock apps. For example, the iBookstore, App Store and iTunes Store apps will be overhauled around social features. 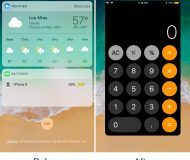 The home screen “is exactly the same” and there will be no widgets. And, you can kiss those blueish buttons good-bye as a sexier silver appearance takes over. Basically, you “wont know it is iOS 6 until you launch apps”. Apple’s WWDC 2012 app has brought out a new silver-themed interface. Apart from this stuff, we’d perfectly happy if Apple stole from Android a quick access to Wi-Fi, Bluetooth, Brightness and other often-used settings, perhaps right in the Notification Center? I also want to be able to get rid of the Newsstand ion and quickly mute all notifications when I’m playing games, for instance. And why not render useful information and specific notifications on home screen icons, as depicted in this awesome concept? 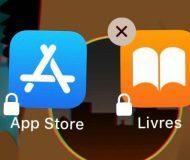 Also important: remove that stupid 12-app limitation for Folders, will you? And allow me to tell iOS to automatically group all my apps into related folders, like music, travel, games and so forth. 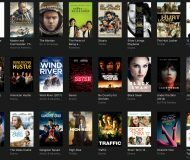 And of course, expect iTunes 11 with perhaps a few new nice-to-haves and certainly support for iOS 6, new hardware and deeper iCloud integration. 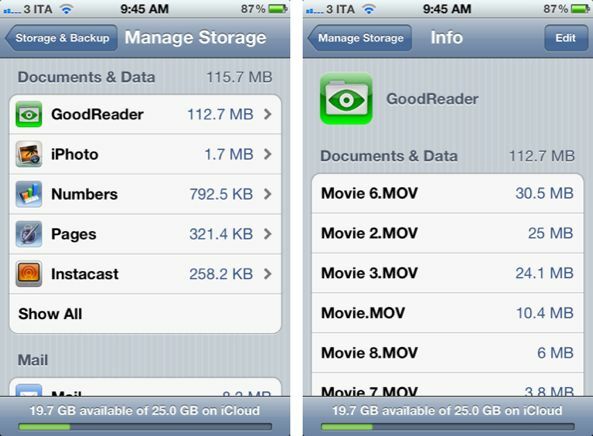 For complete coverage, check out our iOS 6 archive. Apple is allegedly working on a new iOS app, a virtual pocket of sorts dubbed Organize. 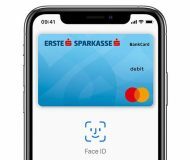 It might enable the long-rumored iWallet functionality, though the source couldn’t confirm whether it will be a part of iOS 6 feature set, a standalone app or something Apple scrapped altogether. Credible source say the full Siri functionality is finally coming to iPads. Given the tablet’s larger canvas, it won’t be a full screen experience. Apple is also rumored to be enabling Siri for third-party developers, but it won’t be without pitfalls as apps will suddenly have to implement context understanding, which won’t be easy. And as people begin talking to their apps, Apple’s servers will be under greater strain. 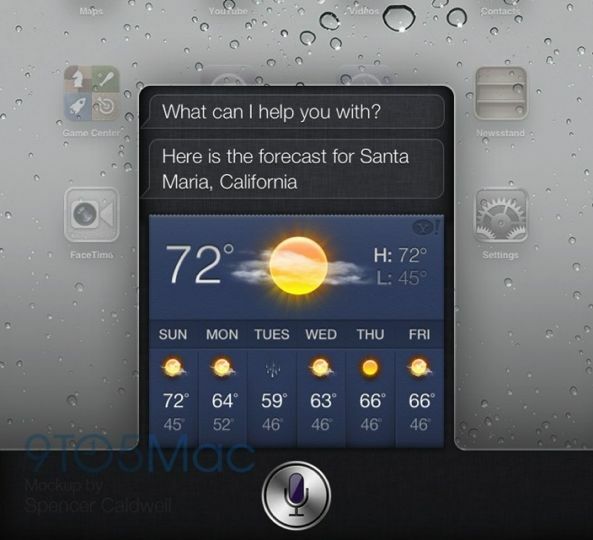 A mockup of Siri on iPad, based on the description the source provided. Also of note, a Nuance exec hinted Siri could get “more personalized” over time, letting you ask her questions like “is my favorite movie up tonight” or some such. 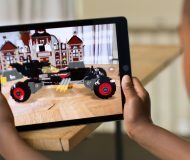 Expect notable upgrades to native Camera and Photos apps, couple with related iCloud features such as video syncing across devices and the ability to share sets of photos with other iCloud users. China’s dominant search engine Baidu will be enabled by default for the Chinese and iOS 6 should also steal a few features from OS X Mountain Lion, like the merging of Safari’s address and search bar into one, syncing of Safari tabs via iCloud, VIP recipients for email messages and a new Do Not Disturb setting for Notifications, hopefully helping fix that dreaded iMessage alert conundrum. The BannerDisable tweak implements a Do Not Disturb setting for notifications. And while we’re at it, how about improving reliability of iMessage delivery and integrate seamlessly with popular IM services, namely Gtalk, AIM and Facebook Chat? Responding to privacy concerns, Apple could also introduce new app tracking tools for developers that won’t require UDIDs. The new Safari iCloud tab sync. Screenshot courtesy of MacRumors. Folks are also hoping for some form of file management on iOS devices, but Apple’s more likely to just enable wireless transfer of documents from iOS devices to Macs via the AirDrop protocol. If only it worked like this. Our readers are torn over system-wide Facebook integration, even if it’s only an opt-in feature like Twitter. Tim Cook said “stay tuned” so we’re expecting more on Apple and Facebook tomorrow. This is all happening despite Facebook poaching former Apple engineers to reportedly build a phone. The social networking giant also hired a former Apple marketing exec and jailbreak developer extraordinaire GeoHot and prolific hacker Chpwn, who is now interning at Facebook. 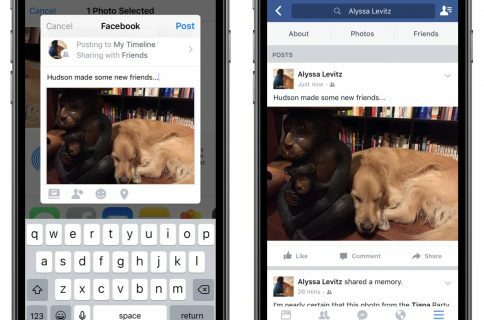 Facebook sharing should work just as you’d expect: upon providing your account credentials in Settings, you’ll simply share articles, photos (there’s already a tweak for that), videos and other content with your Facebook friends using standard Share button (there’s also a tweak for that). 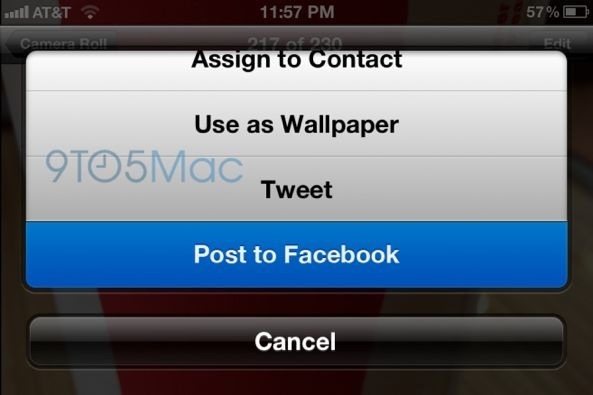 A mockup of Facebook sharing in iOS 6: should work just like Twitter integration. Facebook’s been unusually active lately, releasing Pages Manager and Camera apps, allegedly working on Messenger for iPad and having just launched its own app store called App Center. 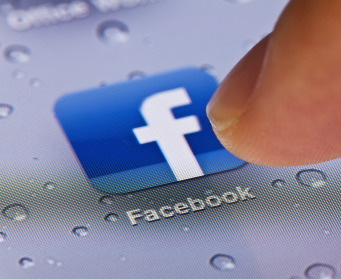 Speaking of social, make sure to fan the iDB Facebook page. For complete coverage, check out our Facebook archive. Allegedly years in the making, Apple’s in-house mapping app has become a forgone conclusion when the Wall Street Journal threw its credibility behind the rumor. Tapping advanced tech from acquired mapping startups Placebase, Poly9 and C3 Technologies, it’ll replace a Google Maps backend with own tiles while enabling remarkably detailed three-dimensional view. Apple likely uses SaaB’s declassified missile targeting tech for rapid 3D mapping. 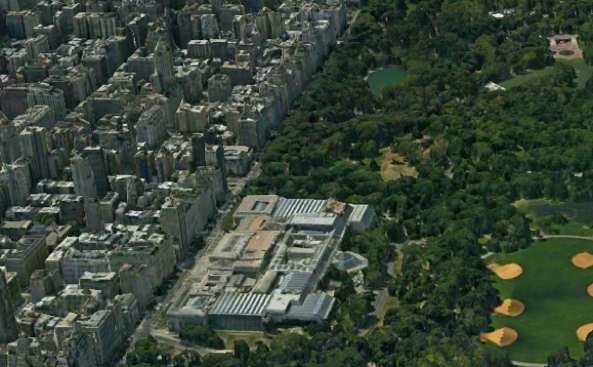 Nokia Maps 3D use the same rapid 3D mapping tech and Google, of course, announced at a hastily organized presser last week that 3D view will soon come to the mobile Google Earth app for iOS and Android. Mockups (here and here) look promising enough though we’re wondering about international availability, turn-by-turn directions, traffic layers and other stuff beyond 3D. We’d certainly love to see offline caching for Maps, syncing of bookmarked locations and – pretty please – vector-based rendering for 2D maps instead of the ugly tiles. 3D is cool, but what about turn-by-turn, traffic layers and spoken directions? 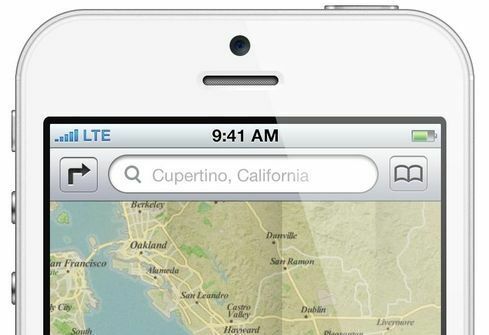 Apple is said to only preview the new Maps at WWDC, probably to give devs enough time to implement them into apps. Plus, my well-connected source told me that “Maps is completely leaked out”. For complete coverage, check out our Maps archive. Sources told the Wall Street Journal that the iOS Photo Stream feature will add camera roll videos to syncing across devices. You will also be able to share sets of photos with other iCloud users and comment on them. Additionally, those leaked Reminders and Notes web apps and web notifications look quite nice, too. As for me, I’d love to see more data sharing between apps. Specifically, I want to be able to choose Camera+ photos or, say, Pages documents in all third-party apps via standard iOS media picker. Yes, iCloud makes documents syncing across devices pretty seamless, but that’s just on a per-app basis. Different people use different apps and it’s a mess right now. Perhaps just give us a way to access popular document types like music, photos and PDFs using iOS media picker. For hints, just check out Tom Klaver’s nice concept over at Applingua, seen right below. For complete coverage, check out our iCloud archive. Yes, it’ll likely be called “the new iPhone” and that September-October release time frame sounds realistic given Apple’s annual iPhone refresh (the iPhone 4S came out last October). 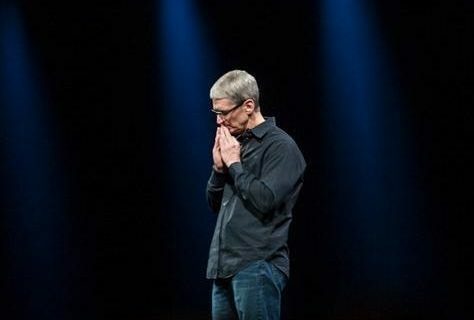 Which all means that Apple may not even announce the next iPhone at tomorrow’s software-centric event. 4G LTE networking is a no-brainer, but the biggest controversy is that taller four-inch screen (here’s why it makes sense). As indicated by the leaked images of front and back panel, that believable video and a schematic, an iPhone redesign will be around Unibody manufacturing process with all-metal back replacing the glass part. Also in the cards is a thinner profile, a centered FaceTime HD camera on the front and a much smaller dock port. We also found some iOS code strings indicating FaceTime video calling over 4G. 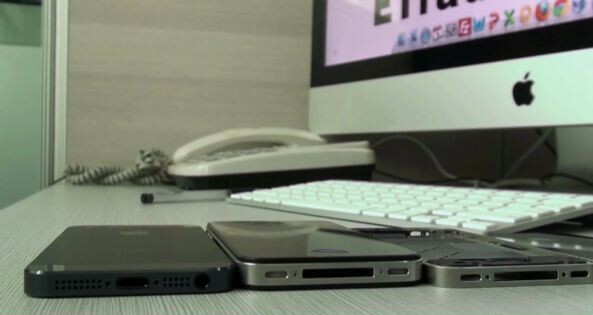 For better or worse, iPhone 5 is said to sport an aluminum back. It’s indicative that we haven’t heard anything about the back camera getting a megapixel upgrade apart from it being redesigned for a thinner appearance. Also, Apple’s thirty percent smaller Nano SIM won’t be making appearance in this year’s iPhone. Even though we now know Apple is commercializing Liquidmetal, a breakthrough product using the new alloy is years away so that’s a ‘no’ to that crazy rumor calling for a Liquidmetal iPhone 5 (but concepts certainly look promising). 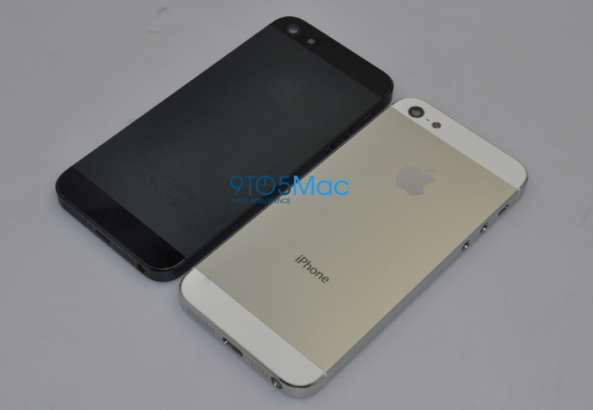 A leaked backplate indicates that the next iPhone will be visibly thinner than the 4/4s. As for the innards, expect a version of the A5X chip tweaked with power consumption in mind, sporting an ARM-based S5L8950X CPU core with 1GB of RAM plus an unknown variant of Imagination Technologies’ SGX543 graphics unit, providing for faster graphics and smoother multitasking. For complete coverage, check out our iPhone 5 archive. Crazypants analysts say an Apple-branded HD TV set could be announced at WWDC tomorrow, but there’s absolutely no hint that the thing is anything more than vaporware at this point. The iHub and iPanel memes are all fine and dandy, but certainly solid evidence from Apple’s Taiwanese supply chain would have surfaced by now beyond a bunch of vague rumors from the unreliable DigiTimes. Crazy rumors of Apple buying German TV maker Loewe didn’t help either. More importantly, Foxconn denied reports that it’s getting ready to manufacture Apple television sets. 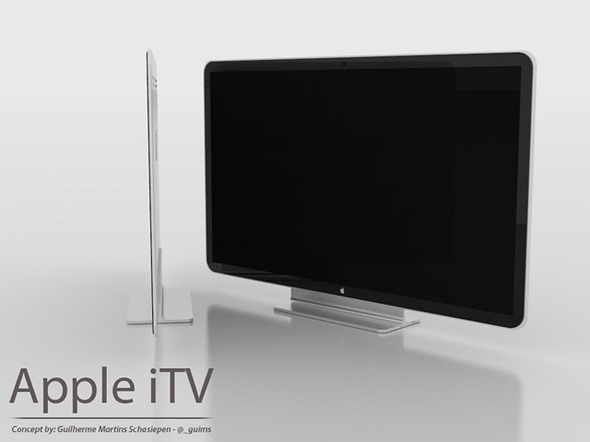 An Apple-branded HD TV set is just a concept: don’t expect a WWDC 2012 launch. 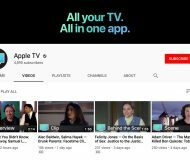 What’s far more likely is that the Apple TV software will get an update with some much needed enhancements, perhaps including new content deals like the WatchESPN app. 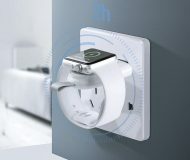 More exciting than this, developers are said to finally get a software development kit to write apps for the Apple TV. If true, expect an Apple TV app store as well. And despite Gene Munster calling for it and chatter from Asia, the iTV could really be just a glorified Apple TV with souped up AirPlay. Besides, clueless analysts argue it’d be a “terrible use of retail space”. Realistically, expect the iTV in a few years. For complete coverage, check out our iTV and Apple TV archives. We don’t normally cover Macs on iDB, but tomorrow’s a big day for Apple fans the world over so it’s worth pointing out that a bunch of, at times inconsistent, rumors point to a Mac refresh across the board. Macs are said to gain Intel’s latest Ivy Bridge chips and Retina-capable displays, although it won’t be as drastic a resolution jump as on iOS devices. 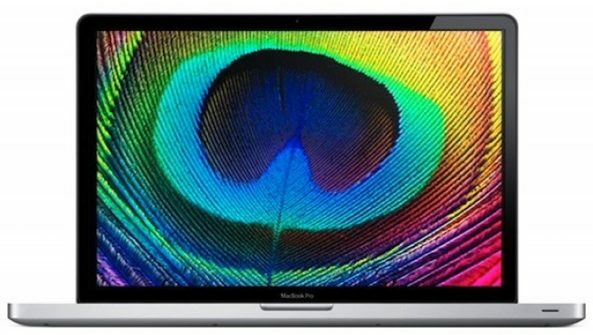 Apple’s entry-level 13-inch MacBook is rumored to be up for a major revamp, losing the optical drive and an HDD, adopting all-flash storage. This will help the notebook achieve the MacBook Air’s super-thin and light design. And if MacBooks are getting Retina displays, so should iMacs and Apple’s 27-inch Thudnerbolt Display. Finally, the Mac Pro, which is way overdue for a refresh, is said to be revamped around either the latest Ivy Bridge processors or Xeon E5 chips, Thunderbolt I/O and – surprise, surprise – USB 3.0. The biggest unknown? The little Mac mini, which has continuously been said to be discontinued since the dawn of time. That’s it, feel free to contribute to the conversation down in the comments.